Questions about our relationship and the working process for aligning client needs and agency services. We provide a highly valued service by helping marketing solution providers with effective customer acquisition. Instead of the overhead costs of retaining a business development force, our services can complement your sales efforts at minimal costs. Will You Broker Our Marketing Services? No, we are not a broker for YOUR services, unless you intend to resell your services through us at a wholesale rate. We prefer to be facilitators rather than intermediaries. We are a consultative, marketing concierge service. Our objective is to provide a valued service to our clients by helping them evaluate and prioritize their needs and then introduce them to the right solution providers. Who owns the contract with the client? You are responsible for providing services as agreed upon with your client. You are liable for all commitments and all parties acknowledge our independent role and indemnify us from any responsibility for your services or the client’s expectations. We strive to vet each party and faciliate a good match; however the success of the ongoing relationship is solely determined by the client and agency or marketing solution partner. How can you help us retain customers? The essential value which we provide is matching clients with vendors. A good fit means a good chance of retention. However, through the process of maintaining good relationships with all parties, we will act on the client’s behalf to help ensure that both parties are communicating effectively and that each party is meeting their expectations. As a somewhat neutral third-party, we can help minimize conflicts and ensure a smooth relationship. What is the duration of our relationship? Our relationship with you is perpetual. Once a contract is initiated with a client, you agree to compensate us 10% for the life of the relationship. We ask that you copy us on all invoices to your clients. We will invoice you at Net 30 terms for 10% of the invoice value. Every time that you invoice your client, we will invoice you for 10% of the invoice value. the right marketing solutions to meet their objectives and budget constraints. Sourcing fees are paid by marketing partners you choose to work with. 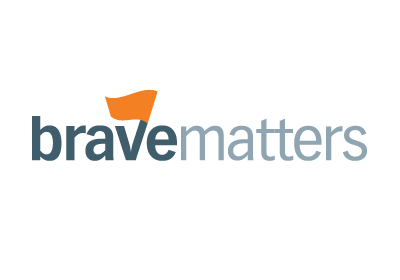 I consent to BraveMatters collecting my details through this form.